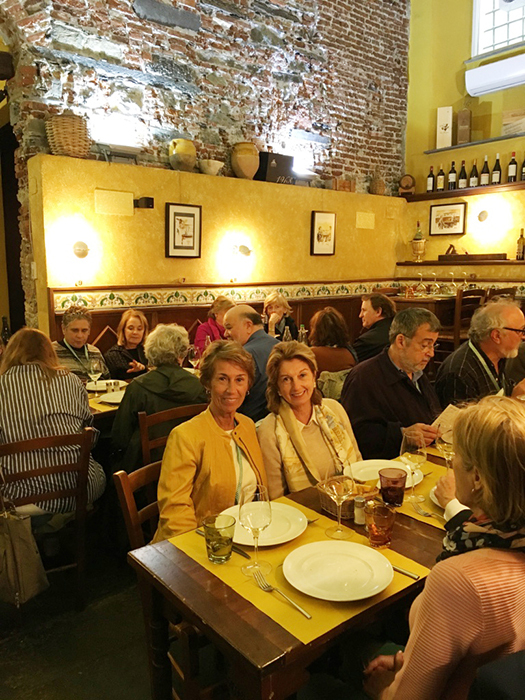 Our trip was based at both ends of Liguria—in Rapallo and San Remo—and we ventured into the mountain valleys and alongside the sea to eat, to experience and to learn about the places and the ingredients that make Liguria such a special destination. 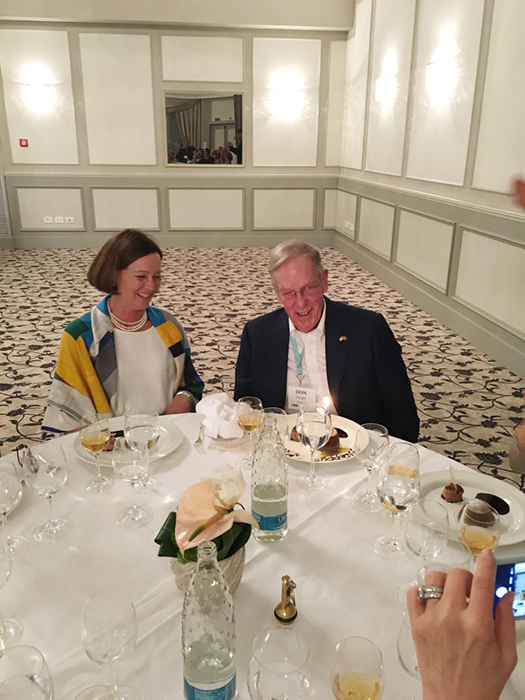 We also slipped into France to spend a day in Menton—the namesake of one of Barbara Lynch’s restaurants. Arrive at the Excelsior Palace Hotel in Rapallo. 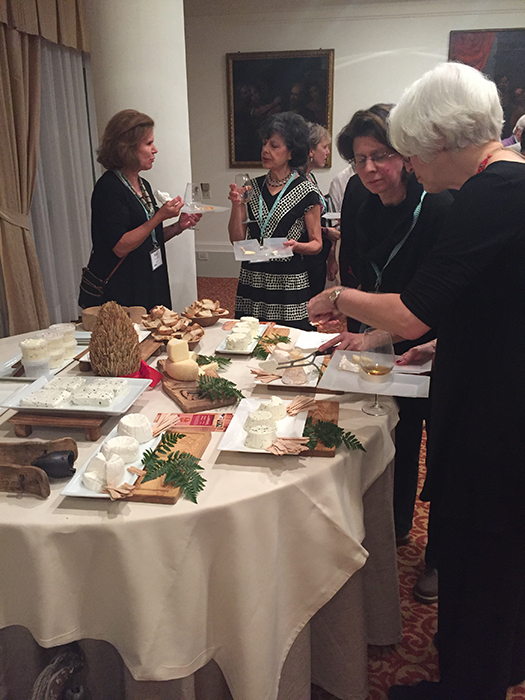 Welcome session and special Ligurian wine tasting and raw milk cheese tasting with Guido Porrati of Parla come Mangi in Rapallo. 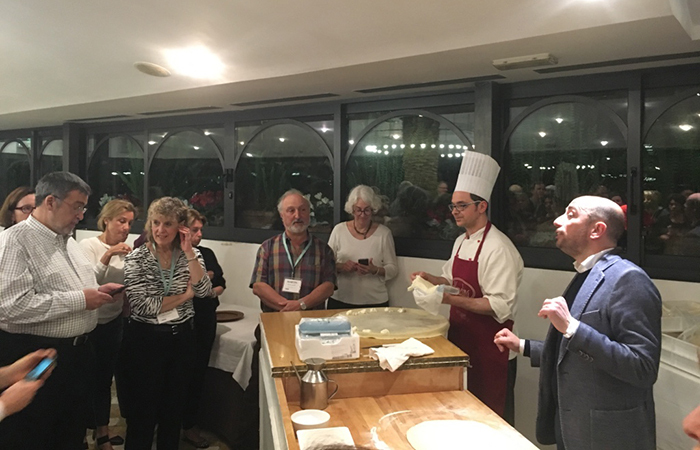 Guido will be joined by two wine producers and one cheese producer, followed by the welcome dinner, overlooking the Bay of Rapallo. 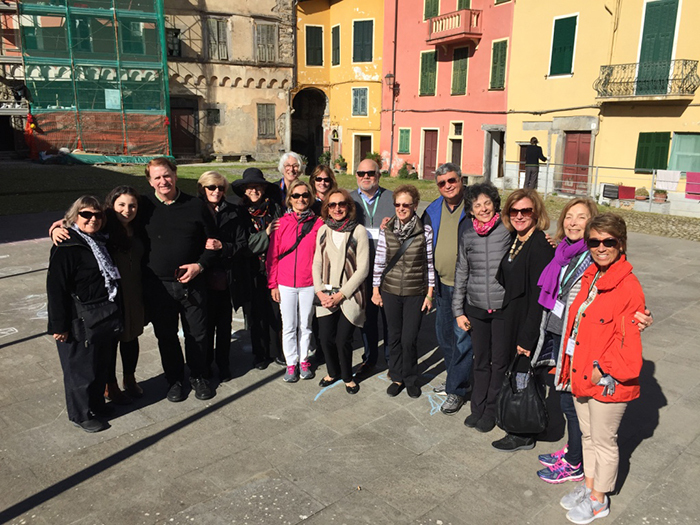 Guided tour of Portoﬁno. 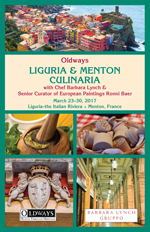 Depart for the mountains and a cooking demonstration and lunch at Trattoria LaBrinca in the village of Ne. 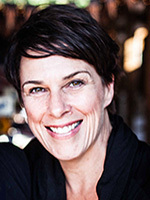 With Chef Barbara Lynch, the chefs of LaBrinca will demonstrate several traditional dishes of Liguria. 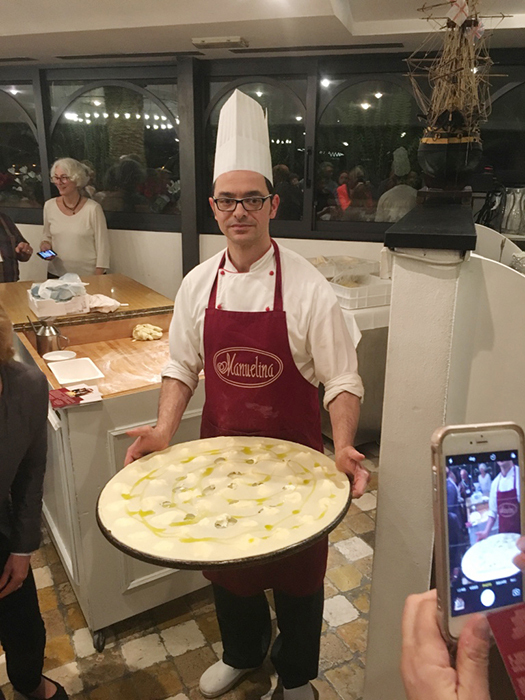 To the town of Recco and Ristorante Manuelina for dinner and a demonstration of their famous Focaccia col Formaggio. 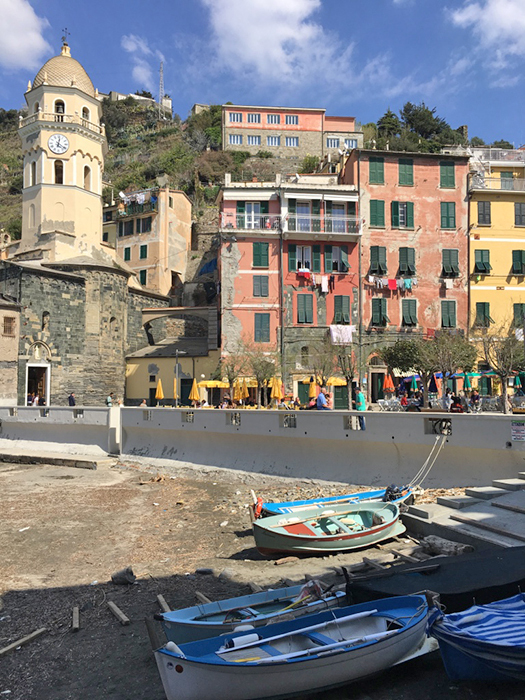 Walk to the Rapallo harbor to board our private motorboat and sail past the Portoﬁno Peninsula en route to the Cinque Terre and the village of Vernazza, one of the ﬁve towns of the Cinque Terre. Lunch at Ristorante Belforte (meaning “place of loud screams”) will feature a glorious view of the sea. 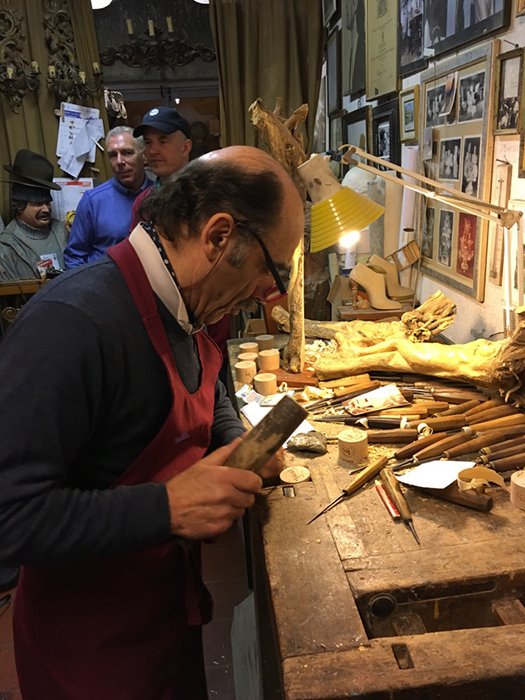 Reboard our boat to motor to the village of Sestri Levante and then take a bus to the town of Chiavari to visit the well-known Ligurian artisans making corzetti pasta stamps. Guests can buy a corzetti stamp with their own initials. Depart for Genoa, just 35 minutes away. 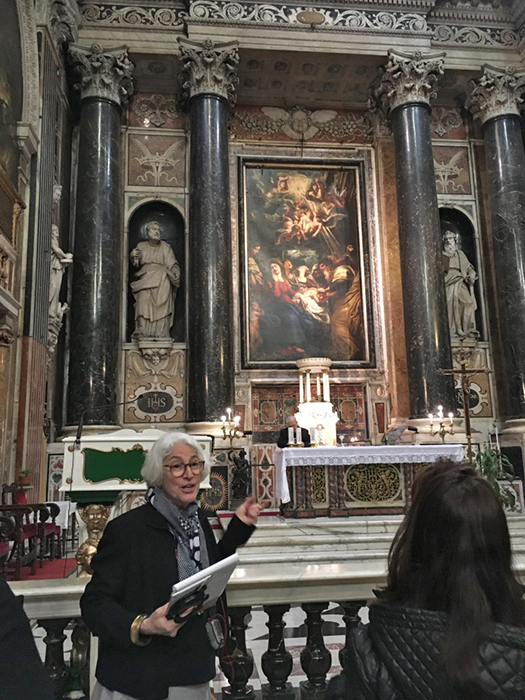 Led by European Art Curator Ronni Baer, visit three of Genoa’s art museums and one beautiful church — Palazzo Rosso, Palazzo Bianco, the National Gallery of Palazzo Spinola and the Church of SS Andrea e Ambrogio. Enjoy lunch at Il Cadraio, a classic restaurant in the old city, very close to the museums. After lunch, take a stroll in warren of streets (caruggi) that make up the Old City. Depart for San Remo. 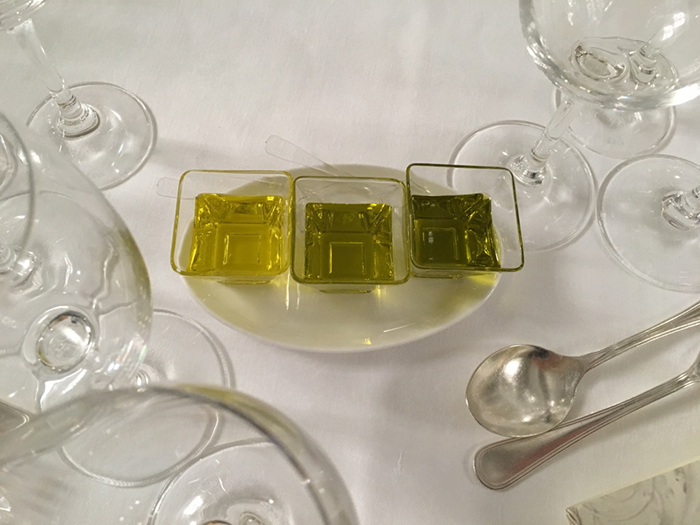 Dinner celebrates the extra virgin olive oil of Liguria, and Ligurian and Tuscan wines with a tasting during each course from Sommelier Simone Parisi. 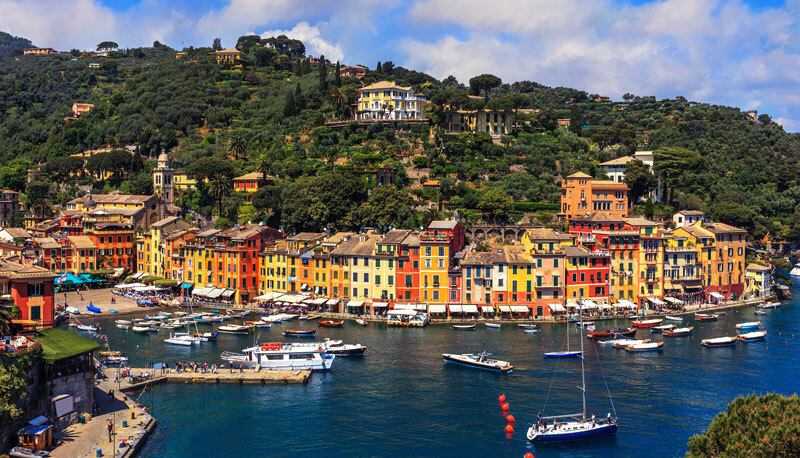 Depart for the Valle Argentina, a beautiful part of Liguria. Travel to Triora at the top of the Valle Argentina. Triora is a medieval village known for its bread and its haunted past (the witch trials of the 16th century). Drive back down the valley into the very special town of Badalucco to visit one of Oldways’ favorite olive oil producers—the Boeri family of Roi Frantoio. 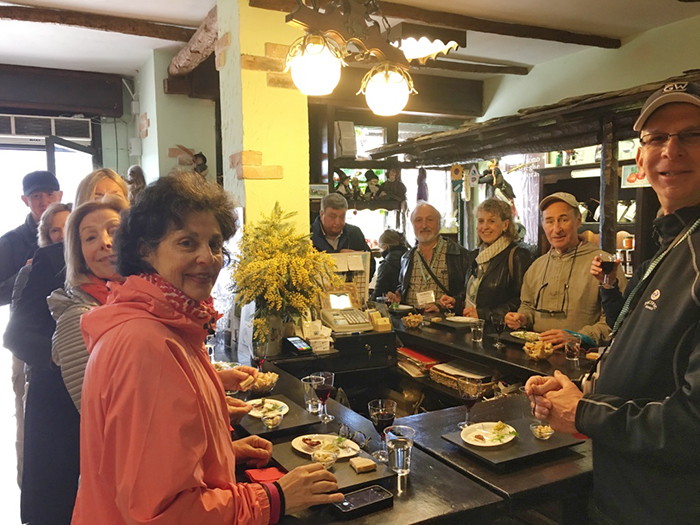 Then a short drive to lunch at Le Macine del Conﬂuente, an agriturismo in an old mill, featuring an amazing array of regional dishes. Return to San Remo. A lighter dinner at Club 64, a pizzeria frequented by locals, close to the hotel and the Casino. 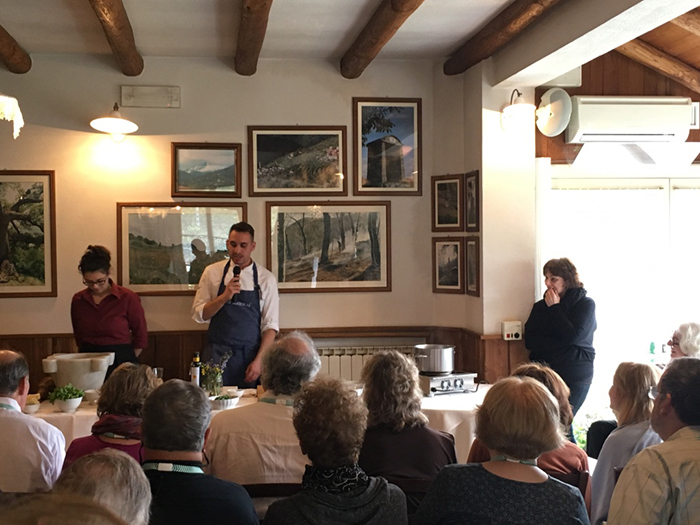 A drive along the Italian Riviera into the French Rivieria and Menton for Chef Barbara Lynch’s cooking demonstration at Ristorante Mirazur, one of the top 50 restaurants in the world. Before arriving at the restaurant in Menton, we’ll stop for a true market and shopping experience in the town of Menton. Return to San Remo for free time and dinner on your own. 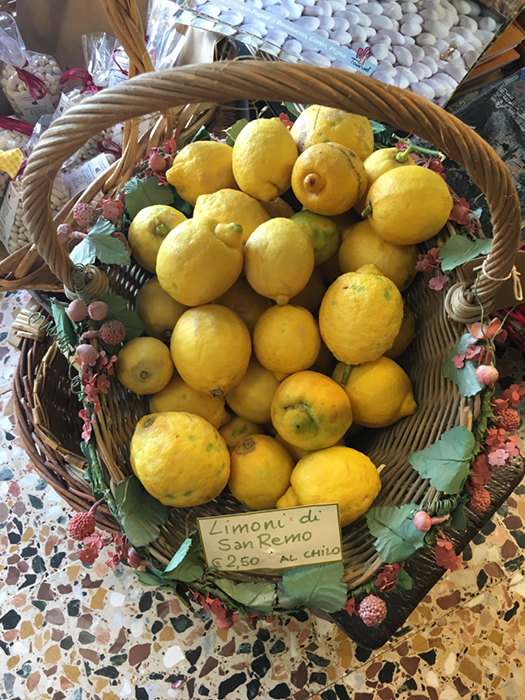 After visiting the colorful San Remo market in the morning, go to the Glam Restaurant, overlooking the sea, next to the Casino of Sanremo. The cooking class with Chef Matteo Riccitelli of the Glam Restaurant and Chef Kunal Datta is half demonstration and half hands-on. After the class, enjoy all the dishes from the cooking class. Drive to Monaco. 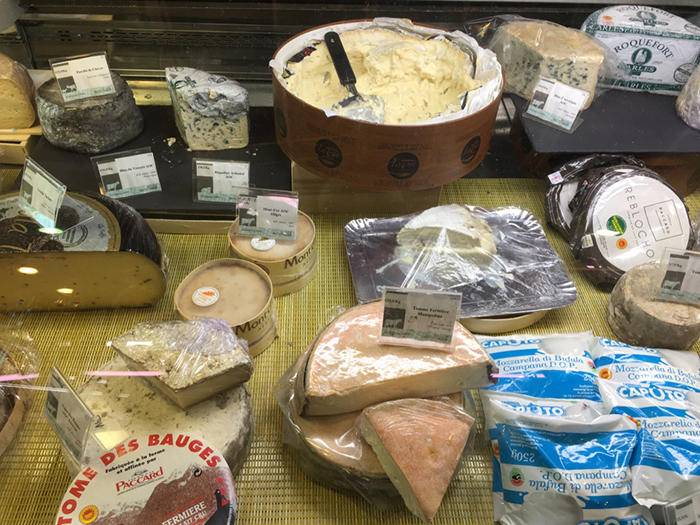 First, visit the market of Condamine. Then to the Cathedral where Grace Kelly married Prince Rainier III in 1956 and the Prince’s Palace, where Prince Albert II and his family now live. Monaguesque lunch and free time in Montecarlo before returning to San Remo. 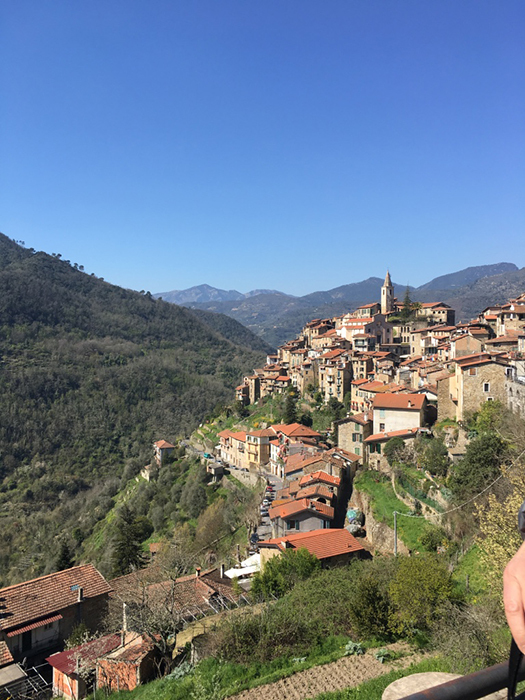 Drive along the Nervia Valley, and visit Pigna, to discover the gothic church of San Michele, which houses a masterpiece from the year 1500, made by the Piedmontese painter Giovanni Canavesio. Drive to the medieval village of Apricale, to visit the baroque chapel of St Bartholomew (painting on wood from 1544) and the church Santa Maria degli Angeli (frescoes from 15th to 18th century). After lunch in Apricale, a stop in the beautiful village of Dolceacqua to see its Baroque parish church hides an important work of Ludovico Brea depicting Saint Devote, patron saint of Monaco (1515). Final Dinner at Ittiturismo Patrizia, a favorite restaurant of many locals, as well as some well-known chefs. 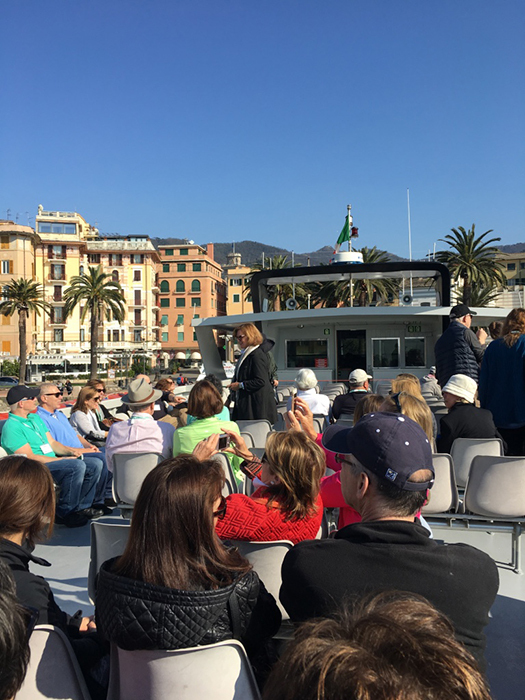 Our tour started in Rapallo on Thursday, March 23. 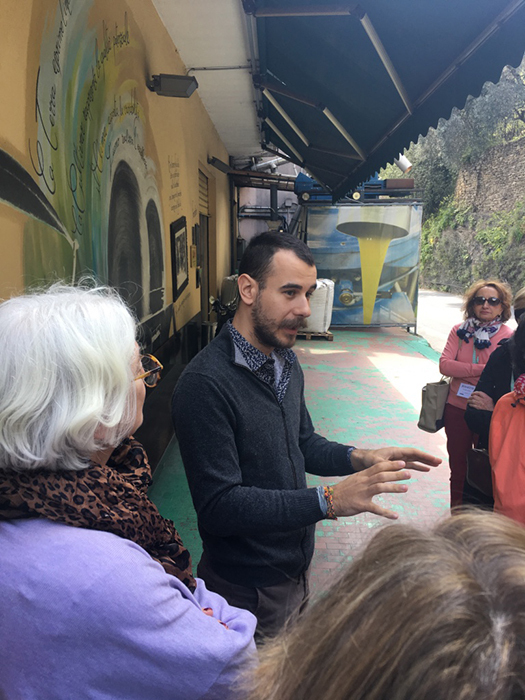 The price of the tour included most meals, hotel accommodations for 7 nights (Excelsior Palace Hotel in Rapallo and Royal Hotel in San Remo), and tour activities. Participants made their own arrangements for airfare (ﬂy into Genoa and out of Nice or Genoa) and transportation to/from the airport. 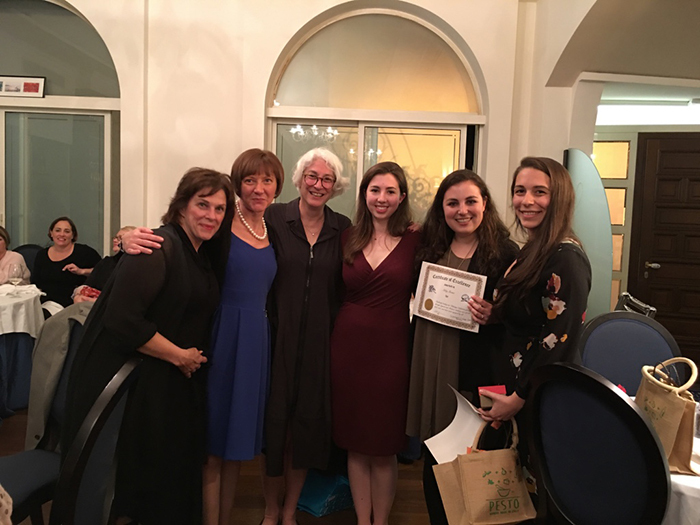 Everyone who joined us agreed this was an unforgettable culinary and cultural journey. 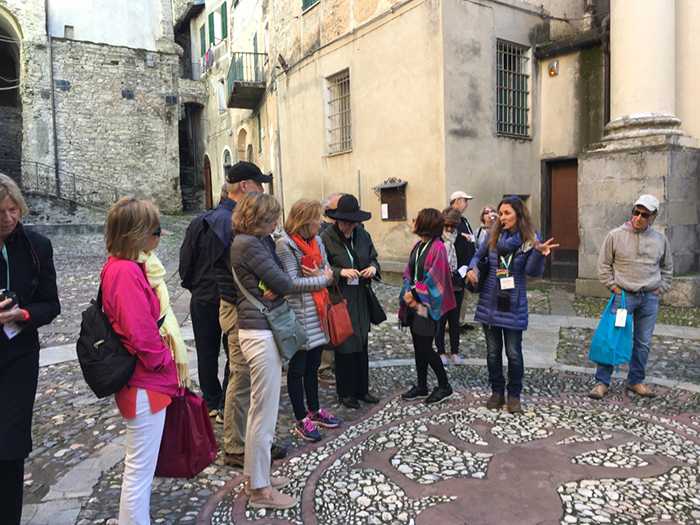 This program provides a day-by-day itinerary of the trip, information about the history, culture, food and wines of Liguria. 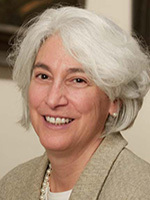 and Abby Sloane, Program and Financial Manager.